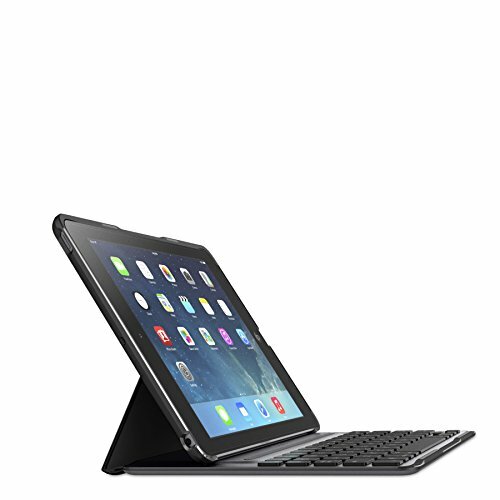 The Logitech Ultrathin iPad Air Keyboard Cover is an excellent piece of craftsmanship from one of the best peripheral companies around. Logitech has made a name for itself with keyboards and mice for computers, and their prowess has carried over well to mobile electronics. The Ultrathin Keyboard Cover is made from aluminum and features an awesome keyboard that adds utility and protects your iPad Air. It’s currently available in both Black and White. This cover is built from a single aluminum chassis with mechanisms in place to keep your iPad Air protected and set up right. There is a magnetic groove that allows you to position your iPad Air into the landscape orientation for getting work done or for even sitting back and viewing media and other sorts of content. They keyboard is a dream to type on, and Logitech has also implemented iOS shortcut keys that take care of all the basic functionality of your tablet including a Home button, media controls, app shortcut keys, and more. The magnets are extremely strong when holding your iPad Air in the protective position, much like the Smart Covers from Apple. However, there have been complaints that they are not correctly aligned. There are rubber bumpers placed strategically around the keyboard to prevent direct contact between your Retina screen and the keys. When you close the cover, it also puts the screen to sleep just like the regular Smart Covers. The magnetic hinge allows you to easily maneuver your tablet while attached. The keyboard uses Bluetooth wireless technology to connect and is rechargeable via a Micro USB port. There is also a power button on the side to further help your battery life. There’s also a pairing button on the side. For portability, this case is very good if not the best. It’s light and thin, but it’s not going to be as sturdy and protective as a full folio case which is the main drawback of being so low-profile. Regardless, it types extremely well but just don’t go putting it through any harsh environments because it could still get knocked over. 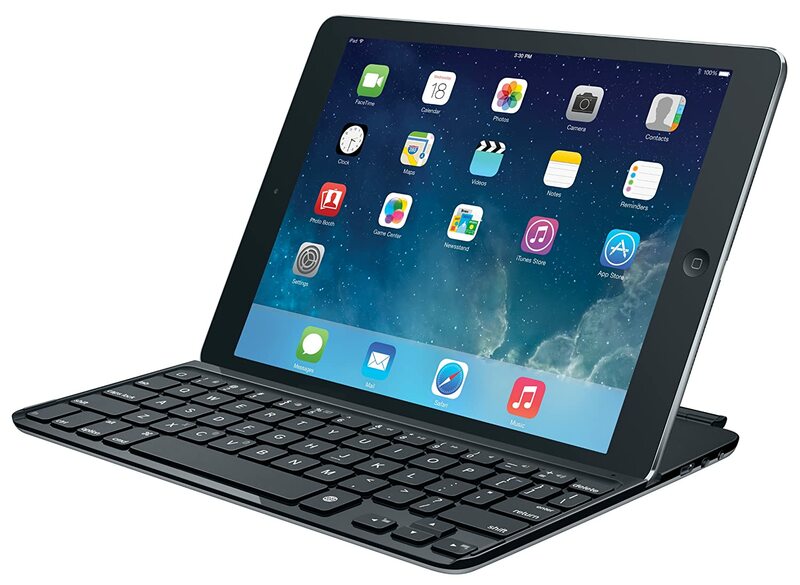 Check out our other recommendations for an alternative iPad Air Cases With Keyboard.